New Delhi objects to the China-Pakistan Economic Corridor (CEPC), which is a major strand of the BRI and passes through the Gilgit-Baltistan region that is currently administered by Pakistan, but which India claims as its own. New Delhi (Sputnik) — A day after Russia urged China and India to resolve their disagreements over the Belt and Road Initiative (BRI), a Chinese foreign ministry spokesperson asked India to set aside its objections to the China-Pakistan Economic Corridor (CEPC) and take advantage of the trillion-dollar infrastructure initiative, which Beijing claims has widespread international support. 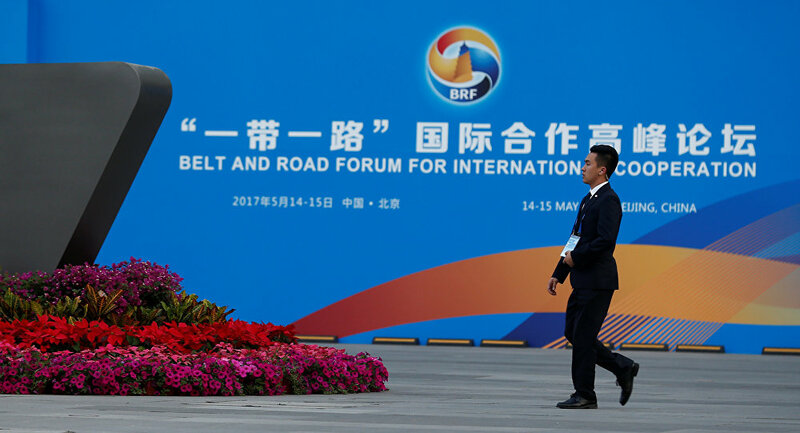 "India is quite wavering on the issue of the Belt and Road Initiative…. We remain quite open and inclusive to cooperation involving the BRI. The BRI will bring benefits to more countries along the BRI. We have also said many times that the CPEC corridor is an economic cooperation. It is not targeted at any third country and does not involve territorial disputes," Chinese foreign ministry spokesperson Hua Chunying said in response to a query on Russia's move. India was among a few countries that had not attended the BRI Summit organized in Beijing in May this year. The BRI is an ambitious plan to connect Asia, Africa and Europe through a maze of roads and waterways and personally backed by Chinese President Xi Jinping. "No country can accept a project (OBOR, CPEC) that ignores its core concerns on sovereignty and territorial integrity," India's foreign ministry had said in mid-May this year. The recently concluded 19th National Congress of the Communist Party of China (CPC) amended the party's Constitution to include the promotion of the BRI as one of the major future objectives. Experts say the BRI's inclusion in the Chinese Constitution is not a minor development, especially in the context of tension between India and China over the CPEC. "The BRI's inclusion in the Chinese Constitution clearly means it will be pursued more vigorously, more than ever before and with President Xi Jinping securing his second term in the 19th CPC. We also need to understand that President Xi has now consolidated his position as well with even his name included in the Constitution along with founder Mao Ze Dong and another great Chinese leader Deng Xiaoping. Xi's whole ideological thought process will now remain etched in the Chinese Constitution and the BRI is part of that," Dr Swaran Singh, a professor with the School of International Studies at JNU, told Sputnik. India is not fully out of the BRI; it is taking part in discussions and working groups that are linked to the mega-infrastructure project. However, it has made its objections clear against the CPEC, which passes through the Gilgit-Baltistan region, a disputed territory between India and Pakistan. "Despite Chinese assertion, the fact that the economic corridor passing through the Pakistan-occupied Kashmir and referred as the China-Pakistan Economic Corridor is a change of stance on Beijing's part," Dr Swaran Singh added.